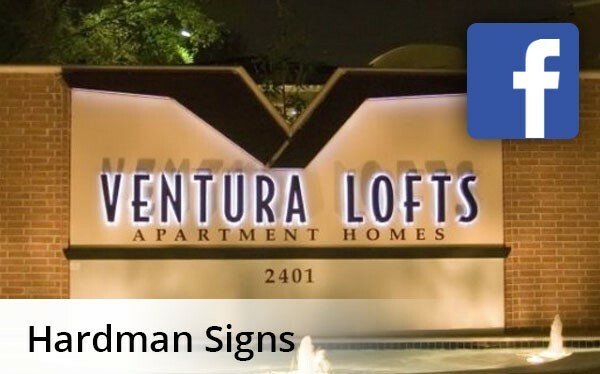 Founded in 1987, Hardman Signs is the top name in Houston signs. With an exceptionally wide variety of signage types offered - and all at cost-effective pricing less expensive than that offered by the competition - we're the company to call when you need signs in Houston. We employ a talented full-time staff of designers, project managers, engineers, maintenance experts and other personnel who will provide start-to-finish guidance through your Houston signage project and will guarantee that the signage your Houston business or establishment is matched with reflects your services well and attracts clients. What's the first step in our Houston signs fabrication process? Communication. A member of our staff will meet with you to learn your specifications, and will go to work creating signs for your Houston establishment that maximize your intent and brand identity. Our Houston signage experts will then fabricate your signage in our secure, expansive facility, and will provide regular maintenance and servicing. We're equipped to manufacture a variety of signage types - interior and exterior, illuminaetd and traditional and more. The team at Hardman Signs is waiting to hear your Houston signs requirements. To learn more, fill out our no-obligation quote form to receive your FREE estimate or call us today.